If you’d like to upgrade, click here if you’re already registered on our new site, or here to register for a new account. Terragen 4 Professional is the complete solution for modeling and rendering natural environments. 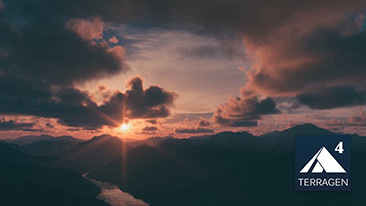 It includes all the capabilities of Terragen 4 Creative, plus essential tools and time-saving features developed for the needs of professional artists. 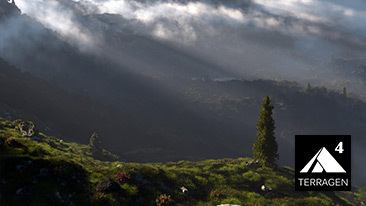 Terragen 4 Creative is an entry-level product that includes Terragen’s powerful core tools and technology and makes them available at an affordable price. Build rich, detailed worlds. Render up to 5000 x 5000 pixel images and full HD movies. Not sure which version you need? See our Product Comparison page.